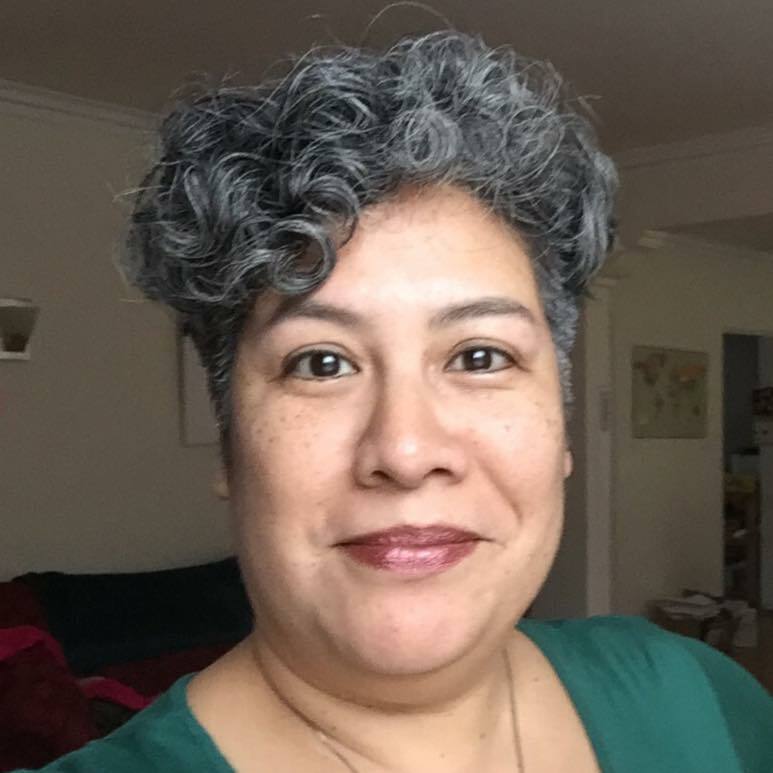 The blog of a middle-aged, Mexican-American woman whose motto is: You can't cure families; you can only prevent them. PCOS stands for polycystic ovary syndrome and increasing numbers of women are being diagnosed with it. It's a hormonal imbalance that can cause problems with periods and make it hard to get pregnant. The most obvious symptoms are acne, weight gain, increased hair on the face, chest, belly or back, less hair on the head, irregular periods (maybe no periods) and depression. Many women develop multiple cysts on their ovaries, hence the name, but that isn't always the case. 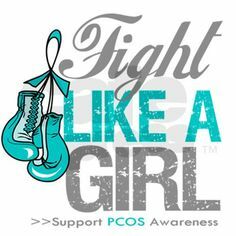 September is PCOS Awareness Month and I want to support all the women who live with PCOS, which is a long-term challenge. There is a correlation between PCOS and insulin resistance, and the biggest risk factor is genetic, but no one knows what really causes PCOS. I'm not impressed by the information I've found online about treating PCOS. It seems that doctors tell women with PCOS to lose weight, stop smoking and eat better, ignoring that weight gain is one of the symptoms of PCOS. A hormonal imbalance, which PCOS is, can cause huge cravings and energy problems that drive people to eat junk food and smoke. For the "treatment" of PCOS to include losing weight and stopping smoking is similar to this "treatment" for cancer: "Please go home and stop your white blood cell count from falling, decrease the growth of your tumors and increase your energy. Once you do those things, you'll feel much better." 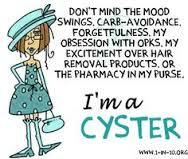 Having dealt with the symptoms of my own hormonal imbalance, I feel for those who struggle with PCOS. I wish them all doctors who truly understand the roots of hormonal imbalance and who have a high level of empathy. Is "fight like a girl" used on the poster in an ironic kind of way, if you see what i mean? I always thought that when someone is said to do something "like a girl", it is usually meant as an insult. Yes, Matt, doing anything "like a girl" has traditionally been an insult to boys AND girls, but that's changing. I've seen a few campaigns where to "run like a girl" or "hit like a girl" has been turned around to emphasize how well girls do those things. This campaign is doing the same thing. Hi Regina, I thought that the campaign was using "like a girl" in the kind of way you mention. It is good that the insult is being turned around. It has always annoyed me when I hear "like a girl" using in an insulting way. "I recently cut out fructose"
Not inspirational. Might piss you off. NPR's This American Life: "Tell Me I'm Fat"
"I don't consider myself elderly." If you’re looking for Gina Rodriguez who grew up in Walnut Creek, California, you’ve found her. Notes about my songs are here.